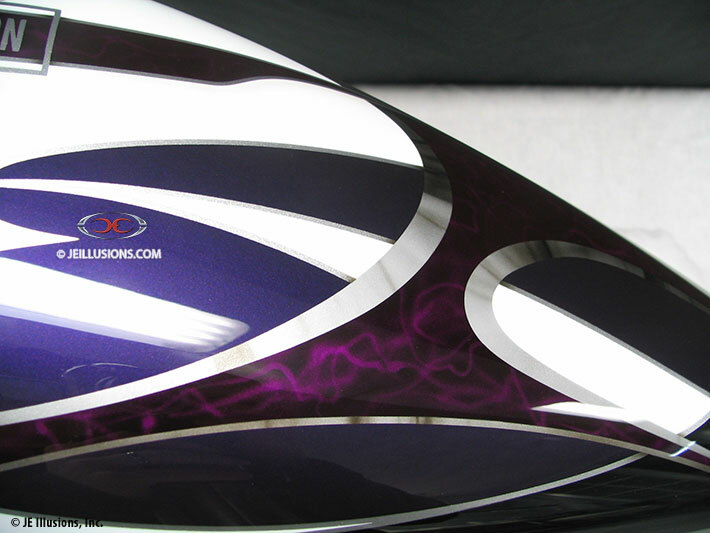 This set begins with a high-gloss under base of Deep Purple that blends into Black. 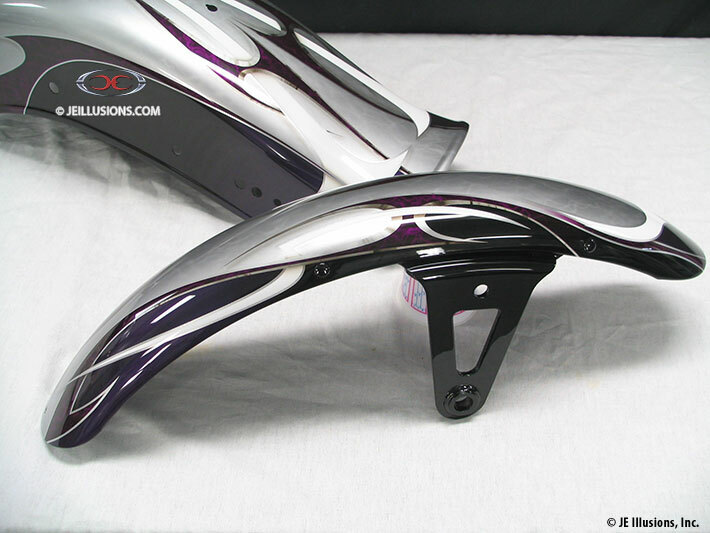 On top of that are a couple different blade designs weaving through each other. 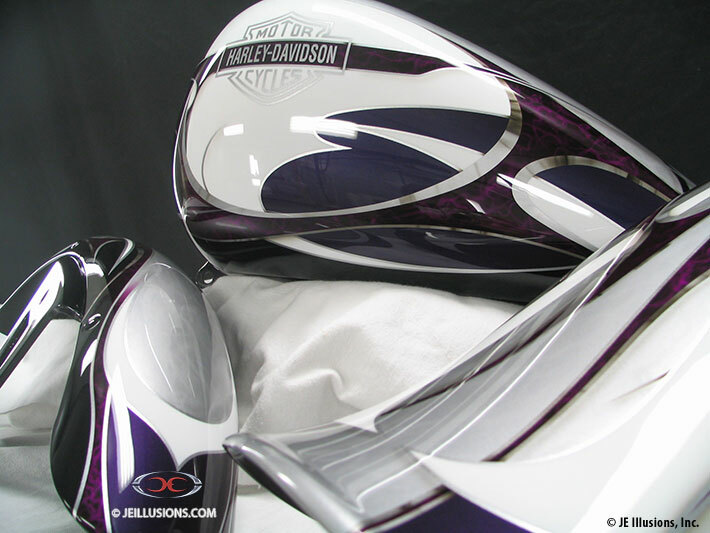 One blade design has an airbrushed Silver metal effects as trim, while on the inside is a Deep Purple with high lighted airbrushed Fuschia smoke effects. The other blade design is done in White, which helps highlight the Silver located in between the blade designs. 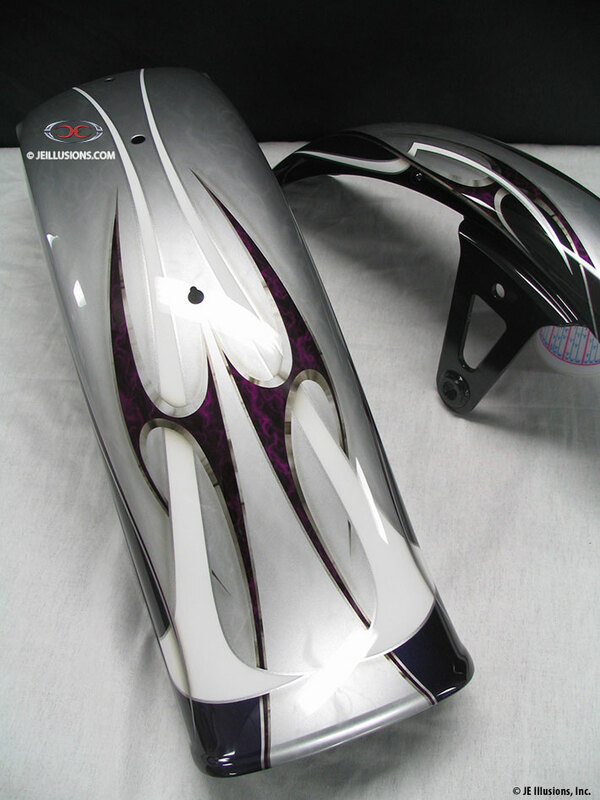 On the top of the tank, the Silver has very subtle smoke effects running through it also.